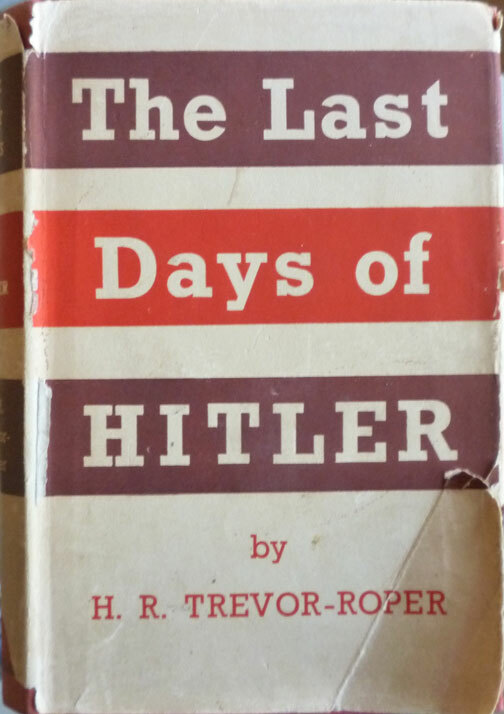 It's a 1947 hardback first edition of H. R. Trevor-Roper's The Last Days of Hitler, published by Macmillan in the UK. 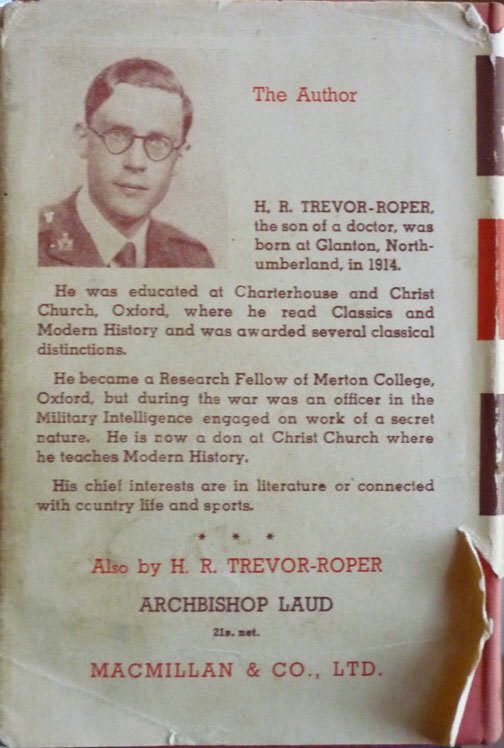 H. R. Trevor-Roper is of course better known as Hugh Trevor-Roper; to most people he'll be familiar – notorious, even – as the man who authenticated the faked Hitler diaries bought and trumpeted by the Sunday Times in 1983, although as last year's biography of Trevor-Roper by Adam Sisman relates, the truth is less straightforward: Trevor-Roper always had doubts about the veracity of the diaries, but the Sunday Times splashed them anyway. Trevor-Roper's reputation never really recovered, but Sisman's biography was a timely reminder of the historian's brilliance. Trevor-Roper worked in intelligence during the war, and at the end of the conflict was appointed to determine the fate of Hitler, scotching rumours of his survival. 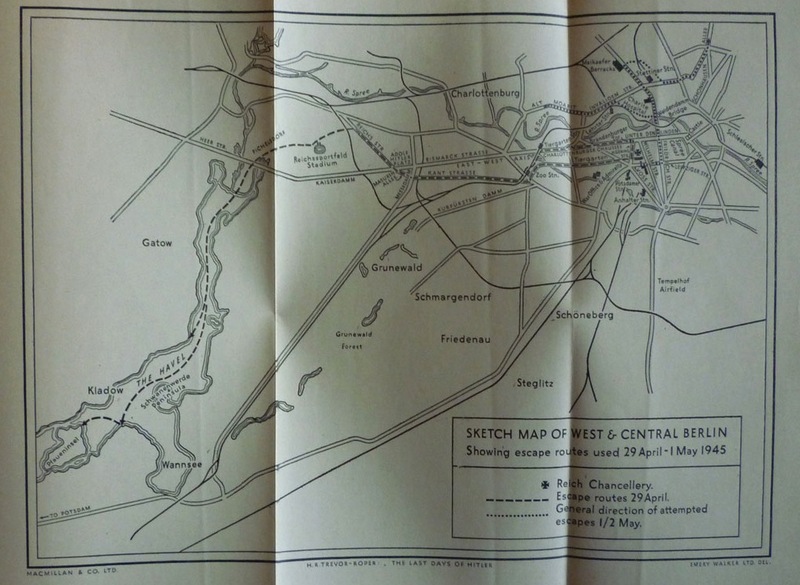 During the course of his investigation he uncovered a wealth of evidence about the dictator's final days, and the result was The Last Days of Hitler, the book that made Trevor-Roper's name. 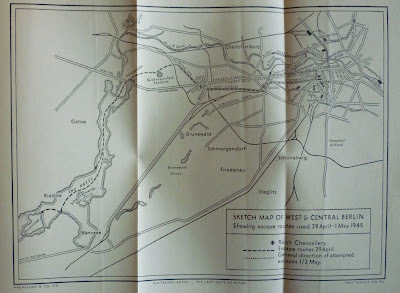 It's still widely regarded as one of the best accounts of the Third Reich, and includes a plan of Hitler's bunker, a reproduction of the last page of Hitler's will, bearing the signatures of four witnesses – among them Dr. Joesph Goebbels and Martin Boorman – and a fold-out map of escape routes out of Berlin. There's something about the fact that it was published so soon after the end of the war – and therefore so near to the events it details – that, for me – and particularly in this first edition – makes it both an interesting artefact (holding an old book to my mind sometimes feels like holding a piece of history) and potentially a more interesting read than later accounts like Joachim Fest's 2002 book Inside Hitler's Bunker (the basis for the film Downfall). We shall see.